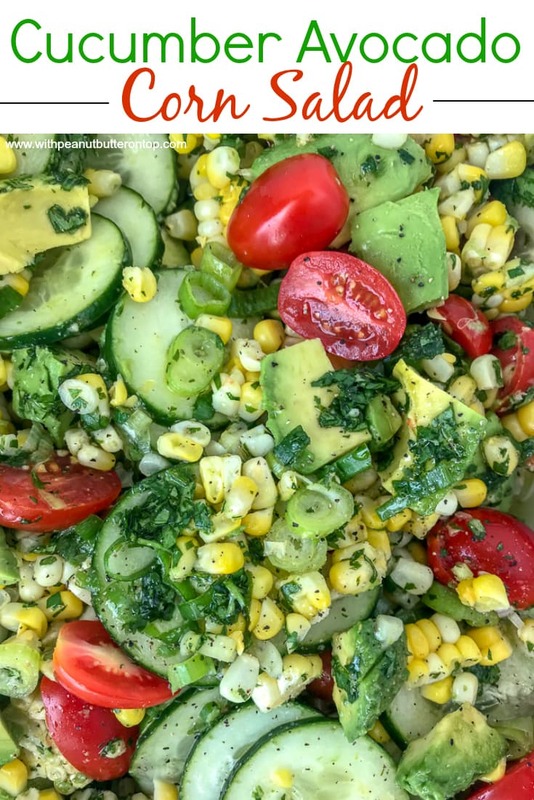 Cucumber Avocado Corn Salad – an easy to make, light and flavorful salad. This dish comes together in minutes and is perfect as a side dish for any occasion! Easy salads like this are a huge hit in our house. Not only because they are so simple to make, but also because they keep meals interesting in a healthy way! 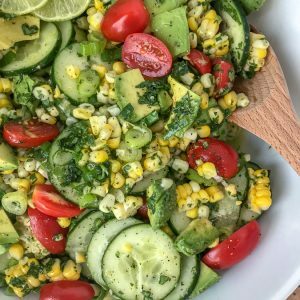 Summer is my favorite time to enjoy simple salads like this Cucumber Avocado Corn Salad. It requires minimal (to no) cooking and comes together in minutes. Which is wonderful if you’re not only on a time crunch, but also looking to keep the heat outside! 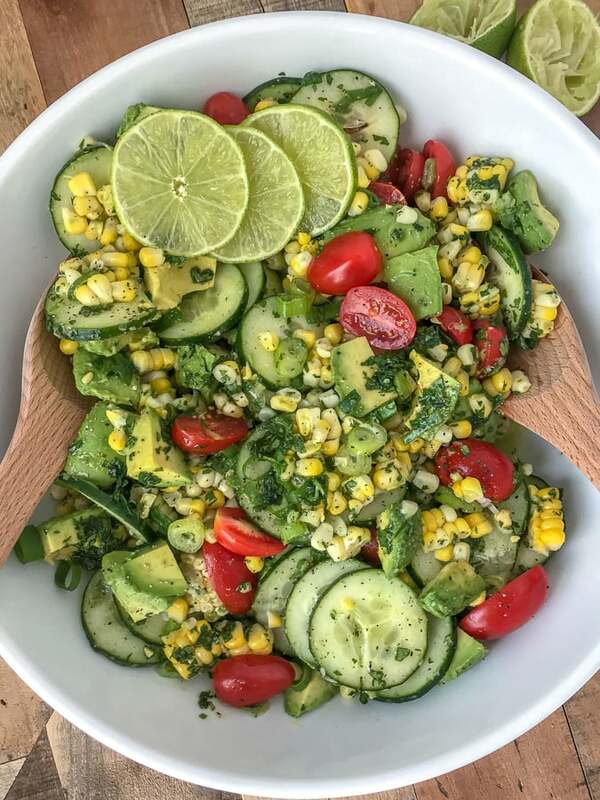 This salad is made with fresh corn on the cob, cucumber, cherry tomatoes, scallions, and avocado. 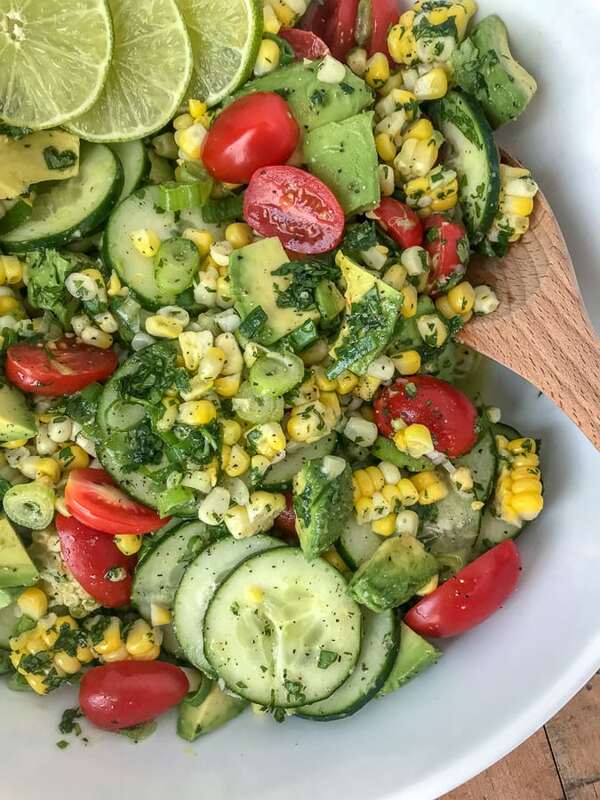 All of which are tossed in a delicious Cilantro Lime Olive Oil Dressing. Completely unintentional! I didn’t notice it until I had the images uploaded and I was going through them to edit. So I guess you could say I put my heart into not just what I make, but my work as well. 😉 And could it be anymore fitting that it’s on a piece of avocado? Because who doesn’t love avocado? I know there are some out there that don’t and I am completely baffled by that every single time I run across someone. Add the avocado when ready to serve to prevent browning. This salad is best served immediately. I have kept it for up to 2 days in my fridge, but it’s truly best served fresh. 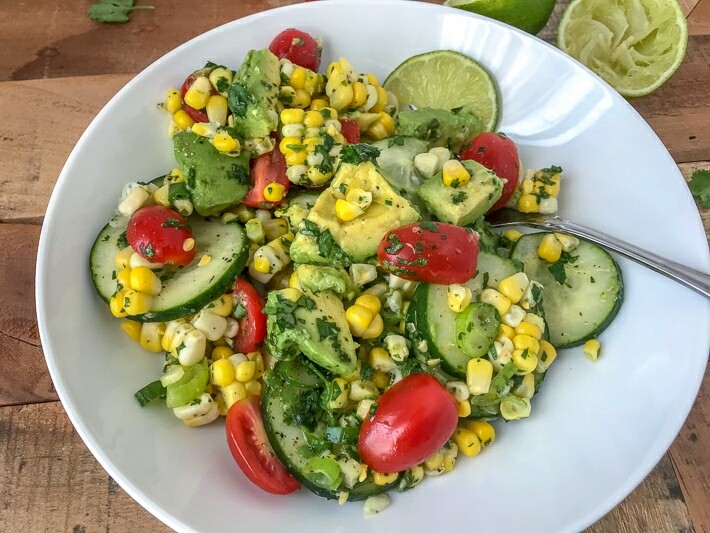 As mentioned above, this salad can be a no-cook recipe if you swap the corn on the cob (which is boiled on the stovetop) with a bag of frozen corn that has been thawed. You can swap lime juice for lemon juice, as well as cilantro for parsley. I know that some people are partial to cilantro. 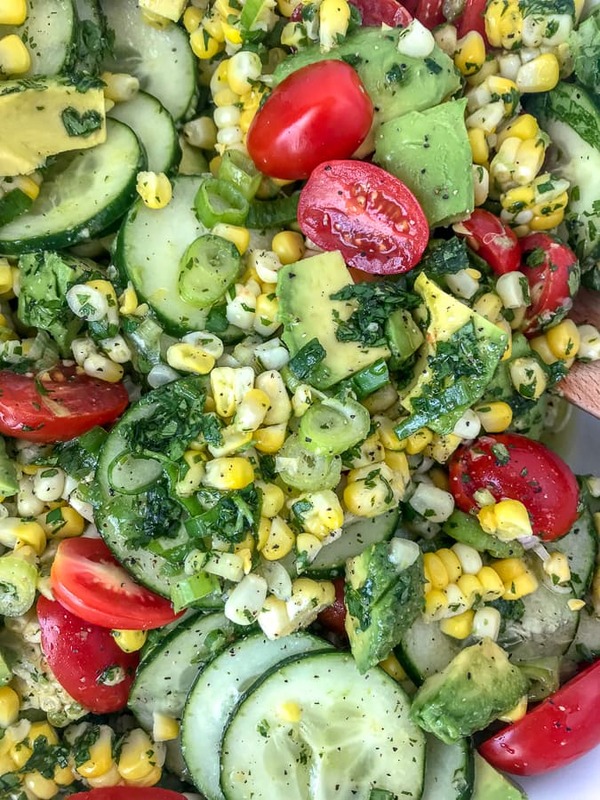 It is best to add all ingredients, including the dressing, together first and then add the avocado last. Lightly tossing as its added. 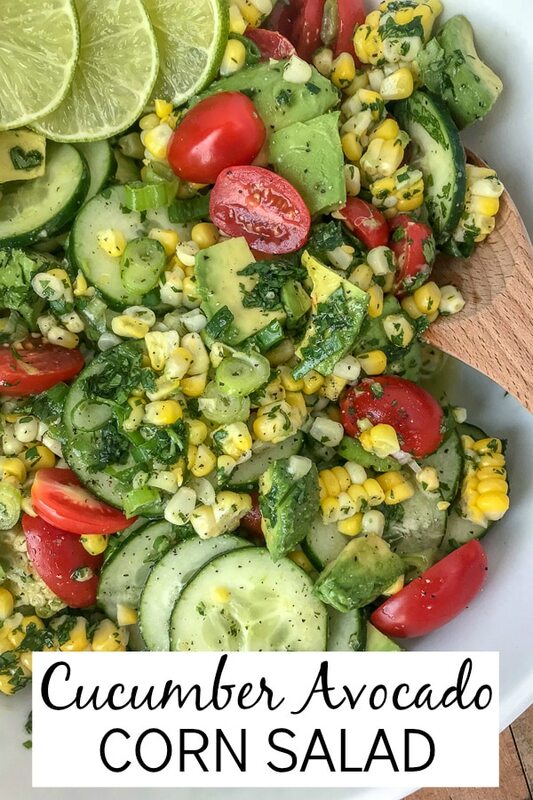 If you love this salad, then I definitely recommend these to try! A quick and easy side dish packed full of healthy flavors. Perfect for get togethers, BBQs or as a side dish on your next family dinner night. Add the corn and leave to boil for 5 minutes. Remove from heat, strain, and run the corn under cold water to cool. Once the corn is cool to the touch, cut the corn from the cob and set aside to allow further cooling. While you're waiting, combine remaining ingredients for the salad in a large bowl, saving the avocado to be added last. 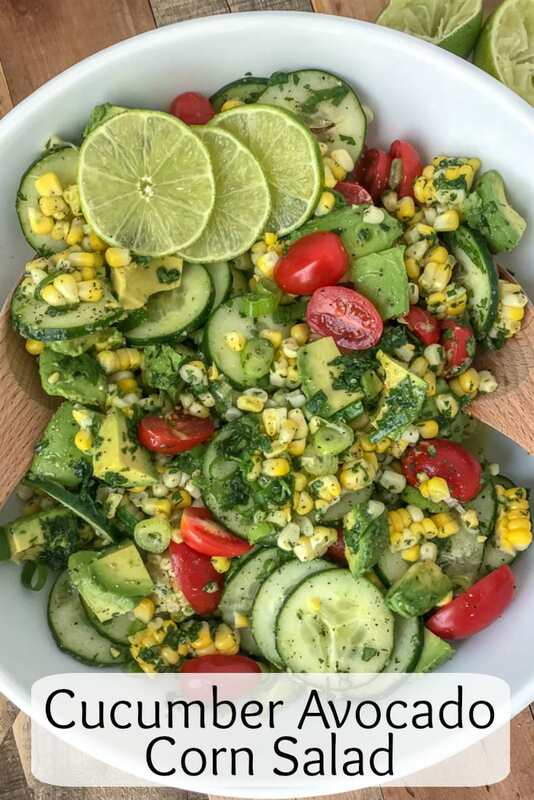 You can add the dressing together in a small bowl and then toss with the salad or add it directly to the dish one ingredient at a time. Add the corn and finally the diced avocado. Toss lightly to thoroughly coat. Garnish with an extra squeeze of lime juice, cilantro, and/or parmesan cheese. Serve immediately. This salad is best served immediately. I have kept it for up to 2 days in my fridge, but it's truly best served fresh. If waiting to serve, combine all ingredients for the salad, minus the avocado and dressing, into a covered dish. Combine all ingredients for the dressing into a covered dish. Add the dressing and avocado when ready to serve.